There are a lot of “Best GMAT Prep Books” lists out there. Most of them aren’t all that great – so we’ve tried to build a better list. We’ve looked at most of the books on the market today and we’ve written a brief bio for each of our favorites. Your GMAT score is important. And because you’ll be spending a good amount of time studying, it’s critical you get the right advice. Before you start, we recommend watching GMAC’s introduction to the GMAT exam. The following is a chart of the best GMAT prep books. Keep reading for a short review of them all. Your GMAT score is a very important factor on your path to business school. And if you’re aiming for a top score chances are you’ll be spending a good amount of time studying. But what you study with is tremendously important. Follow a weak study routine or practice with the wrong material and your score will suffer. That’s why it’s important to find the right GMAT prep plan. Since you’re looking for the best GMAT prep books, chances are you’ve already decided that a prep course isn’t for you. And that’s just fine. We firmly believe that a solid prep book partnered with consistent and dedicated preparation results in strong scores. So why should you trust our opinion? We explain what makes each book great. Content is king. For our reviews we look through each book’s review material, practice question quality, and testing strategy effectiveness. We evaluate which books are best for training on specific sections of the GMAT. Everyone’s different and we all have our own weaknesses. Knowing who each book is designed for makes it easier to match to your own needs. This guide is created first and foremost for students that are motivated to work towards getting a high score on the GMAT. Working through these books will take time and effort. You’ll have to work through hundreds of practice questions before things begin to stick. Practice makes perfect, remember that. But if you’re willing to put the man hour into studying then buying a prep book will be the easiest step in your preparations. Just understand that if you’re not willing to put time into studying, your choice of book does not matter. You have to actually study to learn. Extra Practice: supplementary books intended for students who are focused on obtaining an exceptionally high score by mastering difficult GMAT questions. In most cases, these should only be used after completing a general prep book. Subject Specific: the best books to strengthen your individual writing, integrated reasoning, quantitative, or verbal skills. The same people who write the GMAT exam every year wrote The Official Guide for GMAT Review 2018 Bundle. You’re going straight to the source here. And receiving the best quality test prep material available. The guide contains an excellent overview of the GMAT. Included is a diagnostic review to identify your problem areas. There’s a customized online question bank with 800 official questions available to you. Questions taken from previous official GMAT exams. This 2018 edition contains a section dedicated to Integrated Reasoning questions. 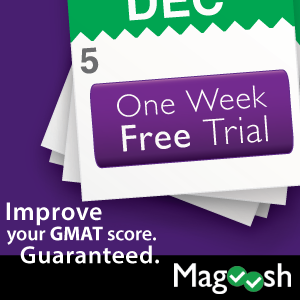 Access to videos featuring expert tips and commentary by the GMAC (the creators of the GMAT) is also included. The whole package is well organized and the material is excellent. This three book bundle includes the GMAT Review 2018 Guide, GMAT Quantitative Review 2018 Guide, and GMAT Verbal Review 2018 Guide. Both feature online question banks and extra questions in their respective sections. The official guides are the only source for official GMAT questions. That’s why for the majority people, these are the best GMAT prep books to work with. One of the most comprehensive GMAT preparation sets available today. The set includes 10 GMAT subject review books. GMAT Roadmap; Fractions, Decimals, and Percents; Algebra; Word Problems; Geometry; Number Properties; Critical Reasoning; Reading Comprehension; Sentence Correction; and Integrated Reasoning and Essay. The set of books are well organized with clear directives. Their purpose is to teach you the material the GMAT tests. Each of the books is full of content review, practice, quizzes and answer explanations. Various testing strategies and tips are scattered throughout too. It’ll take you some time to work through all the material. But once you’re done you can test yourself. The set includes access to 6 full length computer adaptive practice exams. If you’re willing to put the time into mastering the GMAT then this set should not be overlook. Recommended for anyone self studying with a need for content review. Another one of the most comprehensive GMAT test prep sets available today. Inline with the Manhattan Prep Complete GMAT Strategy Guide Set. The Veritas set is as good as it gets minus a dedicated human instructor for content review. There are 12 GMAT subject review books. Foundations of GMAT Logic, Arithmetic, Critical Reasoning, Algebra, Sentence Correction, Geometry, Reading Comprehension, Data Sufficiency, Advanced Verbal Strategy, Statistics and Combinatorics, Advanced Word Problems, and AWA & Integrated Reasoning. Like the Manhattan Prep set, each book reviews tested GMAT subject material. The Veritas Prep content review tends to be more thorough than their counterpart. That said, we found the Manhattan Prep set to be a better choice between the two. Although there are less books, each book is denser and has more practice opportunity. Which is more valuable for the majority of students. The Veritas Prep set is a stronger choice for those needing a more through content review. Such as individuals complete new to the GMAT. And those that are completely missing knowledge on the GMAT test areas. Kaplan’s GMAT Prep Plus 2018 is a popular budget friendly choice for GMAT practice. There are six full length practice tests included. 5 computer adaptive tests online and 1 found in the book. We recommend using the one in the book as a diagnostic test. Kaplan wrote these practice questions. So they aren’t authentic, like those in the Official GMAT Guides. But you get 1,200 of them. Giving plenty of practice opportunity. The Kaplan prep system is unique. It includes not only the book but several online components. There are 200 online questions in a quiz bank format. 40 advanced quantitative questions to review. And over two hours of video tutorials explaining critical subject concepts. All accessible on any mobile device with an internet connection. The Prep Plus isn’t a comprehensive content review prep book set like the Manhattan Prep or Veritas prep sets. But it’s an affordable prep book. And one that guarantees you’ll score higher on the GMAT – or you’ll receive a full refund. Kaplan’s GMAT 800 is for advanced students who are already well into studying for the GMAT. The book’s designed to help you improve on solving difficult questions. If you’re scoring in the high 600s or low 700s and need a boost, this a helpful book. It can help you enter a higher score percentile. In contrast to the Kaplan Premier series, the questions are much harder. There’s also a greater focus on efficiency and method. That’s because tougher questions demand more thorough subject mastery. You need to understand problem types and the fastest ways to tackle them. We’re usually hesitant to recommend Kaplan products for more advanced students. But the Kaplan 800 is quite good for it. Especially if you’re around the 700 mark. Cracking the GMAT Premium book is an all in one solution for the general test taker. The material is friendly and the writing is easy to understand. The coverage is quite comprehensive, filling a total of 768 pages. Included are 6 full-length, computer adaptive (CAT) practice tests to take online. You’re also granted access to an online question bank that contain over 180 questions. The CAT tests are a fantastic study aid that provide instant scoring. No hunting and pecking to check your answers needed. And Princeton Review went an extra mile, they included a fast essay scoring system too. Besides the CAT tests you get access to the “Premium Portal”. An online repository of video tutorials, study plans, and excerpts. Some of it can be helpful, but don’t expect anything groundbreaking. All in all, the book is well put together. We recommend it as a budget friendly choice. The best critical reasoning subject book available. Packed with detailed critical reading strategies and excellent approaches to questions. It’s also unique as it’s from PowerScore. Authors of the most popular and best LSAT prep books. How’s that relevant? Well, critical reading on the GMAT is an easier version of the same skills tested on the LSAT. So LSAT approaches geared toward the GMAT are effective. You’re taught how to identify question types. Then how to apply specific techniques for tackling each type of question. The included practice questions are excellent. They’re like the ones you’ll see on test day. If you find critical reasoning questions challenging, this is the book to use to improve with. The most comprehensive math guide available for the GMAT period. Total GMAT Math contains hundreds of pages of tutorials. Reviewing every single type of math question you’ll see on the GMAT. And each of forty sections is followed by a drill section. There are over 500 exercises to work through. And about 100 of those are 700+ level questions. Both the content review and answer explanations are fantastic. The book’s written in a more text heavy format. But the explanations come with easy to understand diagrams and insights. There some solid strategy suggestions throughout the text too. Bottom Line? This is the best GMAT math book available today. To make the most of it though, plan to spend a few weeks working through it. Manhattan Prep’s answer to Total GMAT Math with a spin on it. This guide is designed for students looking to master the most difficult math problems. Like this one. The book offers strategies and tactics for mastering difficult quantitative questions. Chapters include: Problem Solving Principles, Problem Solving Strategies & Tactics, Data Sufficiency Principles, Data Sufficiency Strategy & Tactics, Pattern Questions, Common Terms & Quadratic Templates, Visual Solutions, and Hybrid Problems. This is an intense book. The content pushes you to the next level of thinking. There are over 250 detailed problems to test yourself on. At the end of each chapter you’ll have 700-800 range quant practice questions to work through. And an extra 150 questions are found at the end of the book. The best stand alone sentence correction book for the GMAT available today. The book’s presented with a gradual progression moving from basic to advanced topics. The material is delivered in a simple manner that gives deep knowledge into key subject areas. There are plenty of advanced strategies for high-level test takers to digest. We particularly liked the excellent overviews of each error type. Which enables you to develop a faster awareness to patterns. The only con is there are only a few practice questions included. To reinforce the material you’ll need to partner this with a practice book. That said, the overviews and recommended approaches work. And their value is great towards mastering sentence correction. Our last recommended item isn’t a book. It’s a replica of the official GMAT booklet and marker that you’ll receive on test day. This isn’t a must have item. But it gives you the opportunity to get comfortable with your working environment. It’s likely you are not used to writing notes and solving questions on a spiral bound dry erase board. Let alone using with a dry erase marker. It takes some time getting used to. The scratchpad is plastic and the marker doesn’t write as precisely as it would on paper. Using the replica booklet and marker will cut stress from your test day. Which can lead to a better score. The criteria for making it on this list is centered around a few points that all good GMAT prep books must have. The book should be published by a trusted name brand. Your studying demands the best from you, and the material you work with should match. Comprehensive review and high quality practice questions are a minimum. The book must be written by an expert in the field. You wouldn’t listen to your plumber for medical advice, and you shouldn’t prepare for the GMAT with an unqualified individual either. Goal setting strategies should be included within the text. Let’s face it, we all procrastinate, and having a schedule to follow makes it easier to move forward and learn effectively. Fundamental skill and test strategies should be included. Strengthening your test taking skills makes for better scores. Note: Some prep books targeting those looking to score exceptionally well, may forgo these sections.